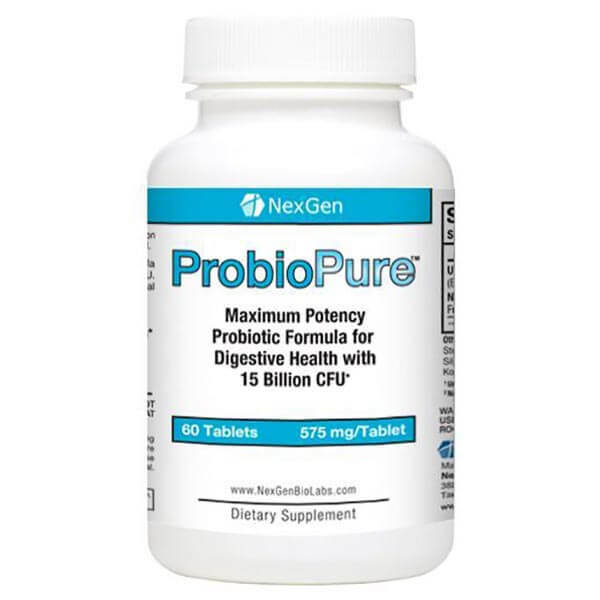 Nexgen’s ProbioPure is a potent natural probiotic supplement that has been engineered to provide extreme support and maintenance for your digestive health and bowel flora. 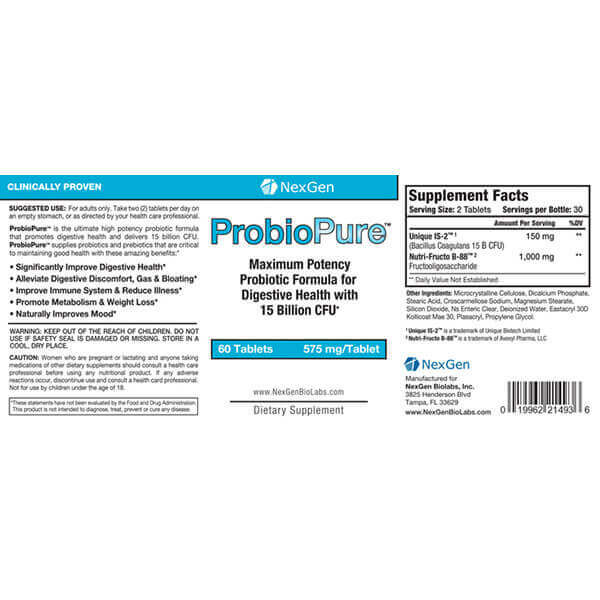 With over 15 billion colony forming units per serving, this top of the line 2016 prebiotic and probiotic supplement simply crushes the competition in term of quality, quantity and results dollar for dollar. Improving your health through a top probiotic supplement is one of the best ways to see drastic positive changes in all other areas of your life. With the vast majority of your immune system and other health systems located within and influenced by gastrointestinal health, re-establishing good vs bad bacteria health in your system is one of the most effective ways to dramatically improve your quality of life. 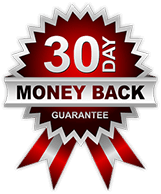 With a money back guarantee you can try our best selling pre-biotic capsules for yourself risk free! 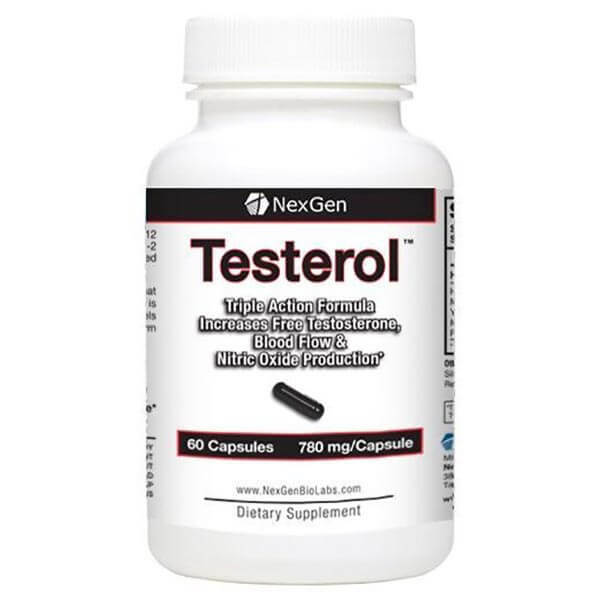 NO HIDDEN OR RECURRING CHARGES[/caption]Nexgen's Testerol utilizes the latest in scientific research and studies and the highest quality ingredients to tackle issues from a variety of angles. Our triple action formula helps with testosterone and other male performance factors by increasing free testosterone levels, blood flow & nitric oxide production related to your health.We have sourced only the most potent and high quality natural ingredients to make a formula that isn't just much more complete than the competition but also that is much more affordable than many of the scam artist brands in this market.Don't just take our word for it; with a 30-day money back guarantee, free usa shipping (on orders over $100) and a dedication to complete customer support... You can see for yourself what makes Testerol one of the best testosterone boosting supplements in 2016 and why dollar for dollar it is one of the most highly reviewed and rated products currently available today. 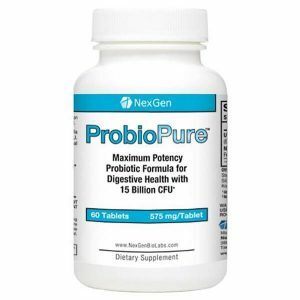 Nexgen's Best Selling Probiotic Supplement for 2016! The digestive tract contains billions of microorganisms (bacteria) that do a vital job helping us digest food and regulate our immune system. This delicate balance of “good” and “bad” bacteria can be negatively affected by modern lifestyles – stress, diet, antibiotics and more, leading to a range of digestive problems. A probiotic supplement can rectify this imbalance and have a dramatic effect on your overall well-being! What Makes Our Ultimate Probiotic Different? Most probiotics such as Lactobacillus Acidophilus have 2 problems: they deteriorate if not kept in a refrigerated condition and are easily destroyed by stomach acid and bile. 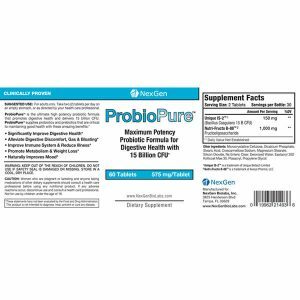 ProbioPure Prebiotic/Probiotic contains two powerful patented ingredients which eradicate these weaknesses. 1.Bacillus Coagulans strain (Unique IS-2 ) – A very robust strain of probiotic that is not affected by gastric acid and survives at room temperature for 3 years! 2.Fructooligosaccharides (Nutri-Fructo B-88) – A prebiotic that stimulates the growth of good bacteria. Boosts the immune system and has positive impacts on Cholesterol levels. ProbioPure has many other powerful effects on overall health levels; including weight loss, improvements in mood and energy, and relief for stomach issues such as gas and bloating. Try it today risk free!